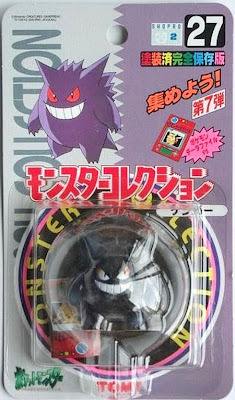 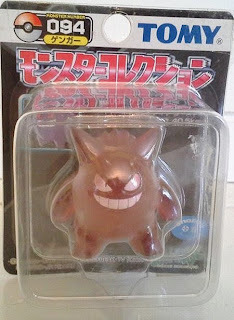 Pokemon figure Tomy Monster Collection series Gengar ゲンガー. 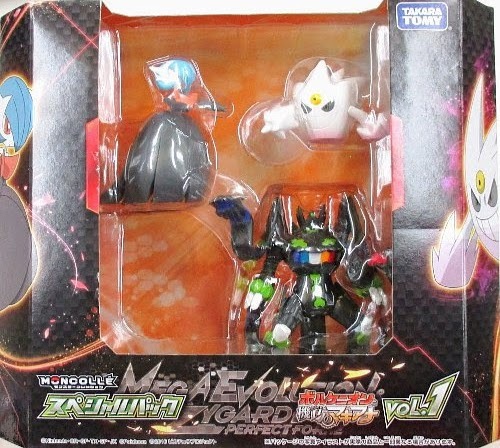 Same pose with other clear color in black package series. 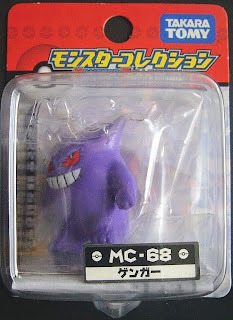 Same pose with solid MC series. 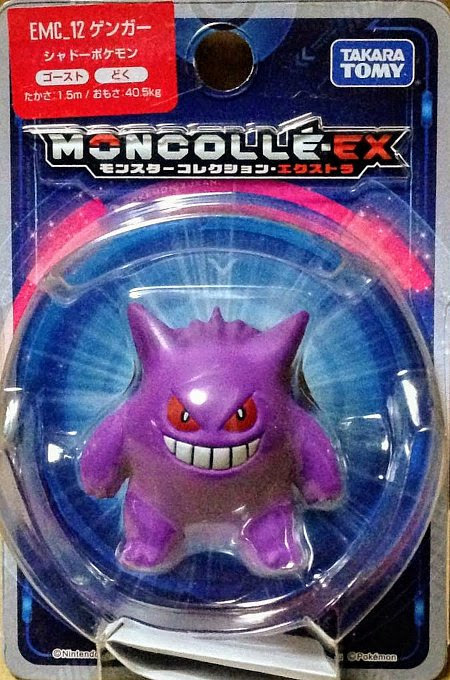 Same pose in MONCOLLE EX EMC series. 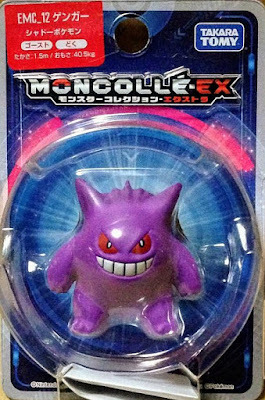 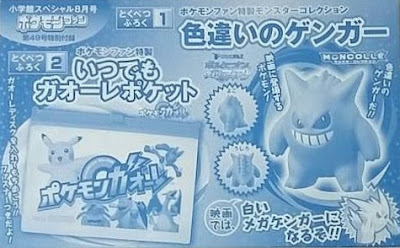 Please note Gengar looks the front in some packages, normally looks the left upper side. Shiny Gengar in 2016 magazine Pokemon Fan Vol.49 attachment. 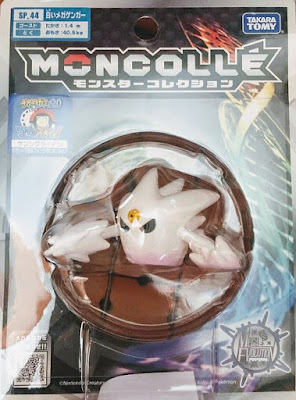 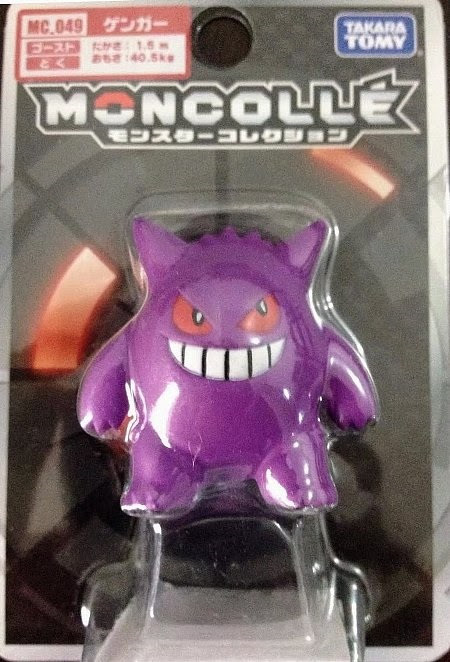 Mega Gengar in MONCOLLE SP series. 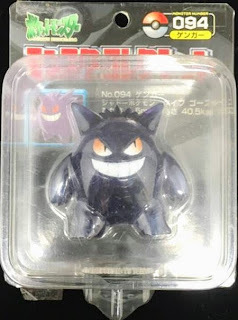 Shiny Mega Gengar+Tretta+Mega Ring present by 2014 Shiny Mega Gengar promo. 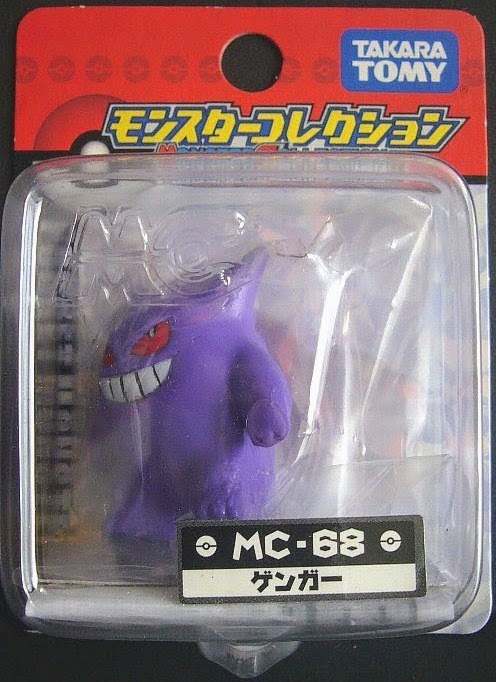 Shiny Mega Gengar in MONCOLLE SP series. 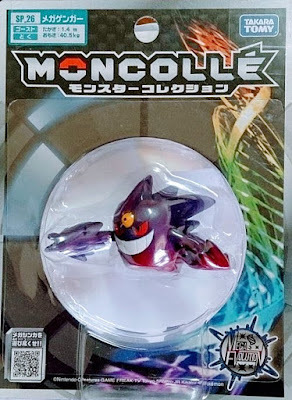 Same in MONCOLLE 2016 Volcanion & Magearna movie set. 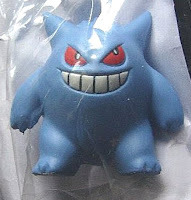 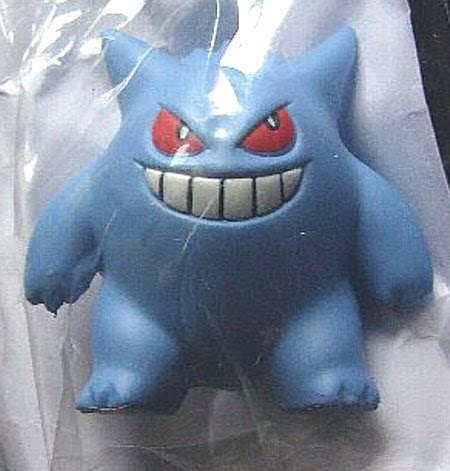 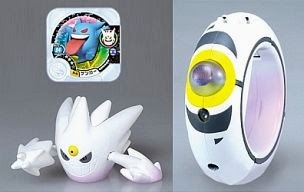 Gengar in YJ Auction ?